Thank you for visiting our website! How can we make you smile today? 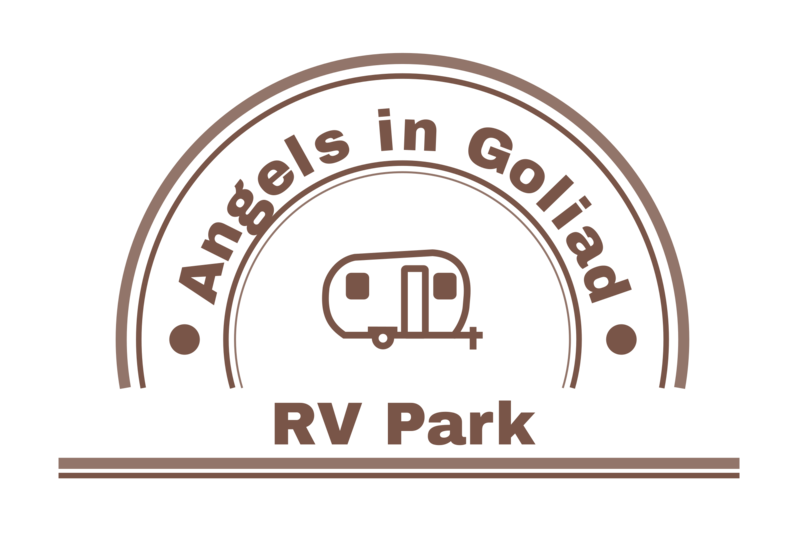 Angels in Goliad RV Park offers 62 oversized 35' x 85' RV sites, both pull through and back in. All our sites come with full hookup 30/50 amp service, sewer and water. Amenities include 24 HD channels and Wifi at every site!!! Call for more details. We look forward to serving you! 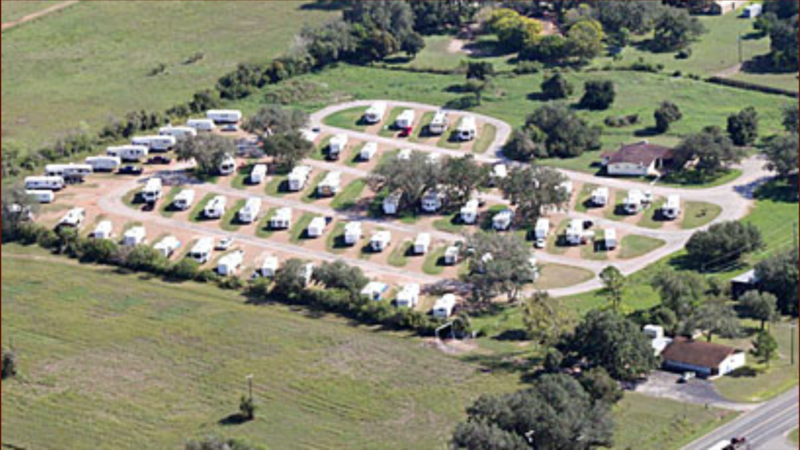 Level Sites You never have to worry about getting a level site at Angels In Goliad RV Park. All sites are level, limestone packed. Natural Setting We have several mature live oak trees on the property, however there are treeless sites for those who would prefer full sun or need satellite reception. Plenty of Room Lots are oversized – 35' x 85' to provide plenty of space for slide-outs and outdoor living. Sense of Community Quiet, safe community of friendly people who know you have many options for where to stay and are happy you have chosen to stay in Goliad. From Victoria, TX: Highway 77/Highway 59 Southwest to Goliad. In Goliad, go ½ mile SW on US 59. Turn North on Michael Street to enter the park. From San Antonio, TX: Highway 181 Southeast to Beeville. Highway 59 Northeast to Goliad. First left in Goliad is Michael Street. From Rockport, TX: Highway 35 to Highway 239 in Tivoli to Highway 183/77A into Goliad. Left on Highway 59 ½ mile and right onto Michael Street. From Corpus Christi, TX: Highway 181 to Highway 77 to Refugio, then Highway 77A/183 to Goliad. Left on Highway 59 ½ mile and right onto Michael Street. Angels in Goliad RV Park takes pride in offering oversized full hook up RV sites and a simple, hassle-free RV storage experience for all of their customers in Goliad, TX. We offer RV parking for all your needs. Angels in Goliad RV Park also offers online rentals and online bill pay 24/7 to make your experience quick, convenient and easy. Feel free to look at our available storage units and give us a call if you have any questions or simply rent your site right here on our website. Why Stay at Angels in Goliad RV Park? We commit to providing you a clean, ready-to-rent site and friendly helpful service. Great location in historic Goliad, TX. Easy access to Highway 59! Your road trip awaits!